East Timor Legal News 04/02/2011 Source: Birdlife International Fri, Dec 30, 2011 - There had been no confirmed field observations of Timor Bush-warbler Bradypterus timorensis since two specimens were collected on Mount Mutis, West Timor, in 1932. A paper published online in BirdLife’s journal, Bird Conservation International(BCI) , reports the rediscovery of the Timor Bush-warbler in Timor-Leste (East Timor) in 2009, prompted by the discovery of a previously unknown population of bush-warbler on the island of Alor, Indonesia, to the north. 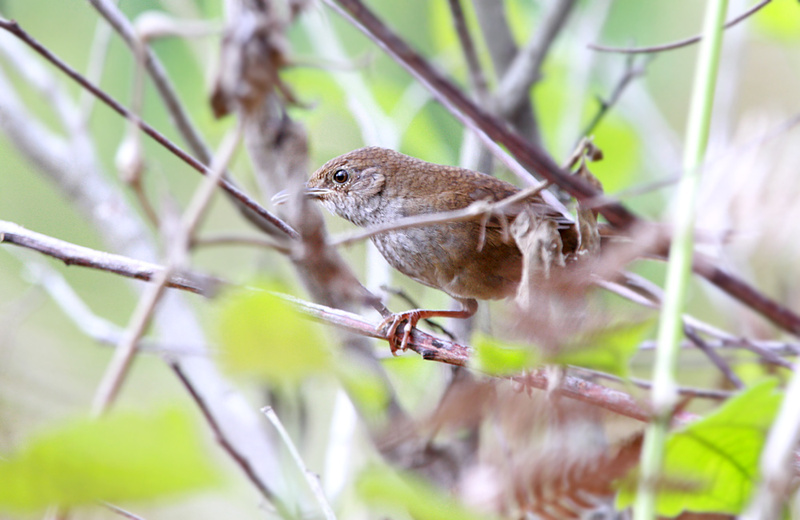 Timor Bush-warbler was first recognised as a full species in 2000, when along with Russet Bush-warbler B. mandelli and Java Bush-warbler B. montis it was split from Benguet Bush-warbler B. seebohmi. The authors of the BCI paper assign all these species to the genus Locustella. On Alor, at least 13 male bush warblers were heard singing from shrub and grass beneath woodland and forest edge at 859–1,250 m. On Timor, at least 40 males were heard from tall grassland at 1,720–2,100 m.
The songs are loud and can be readily heard from at least 100 m. However, the birds on both islands were skulking and hard to observe, even while singing. Brief direct views on Alor noted a large, buff-brown, long-tailed bush-warbler. Birds were observed to walk or scurry, mouse-like, on the ground on thin shrub and grass stems. Although they can fly, they do so rarely and probably mostly under cover. There were substantial differences in habitat use by bush-warblers on Alor and on Timor, presumably resulting from island-specific differences in habitat availability, elevation and land-use pressure. High grazing pressure and repeated fires ensure that there is little or no suitable habitat over much of Timor’s montane habitat, except on steep slopes. There are few known threats to bush-warbler habitat on Alor, but ongoing assessments are needed. Timor Bush-warbler is considered Near Threatened by BirdLife on behalf of the IUCN Red List, but will now require re-evaluation. The Alor population is currently well isolated from Timor (c.100 km between sites), and these islands have never been connected. The populations have little chance of interbreeding and the authors of the BCI paper say they should be considered as independent, evolutionarily significant units. Further field surveys are needed on both Timor and Alor to capture birds, clarify taxonomic relationships using molecular approaches, and further define habitat use and conservation status.